[UPDATE 02/11/15] My new podcast Potter & Daughter is live now! You can download the first episode here or subscribe via RSS or iTunes (as of 2/12/15 the iTunes link is still waiting on Apple approval). 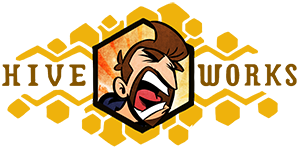 Fancy Patreon Patrons get each episode a week early and can already download episode 2 HERE. 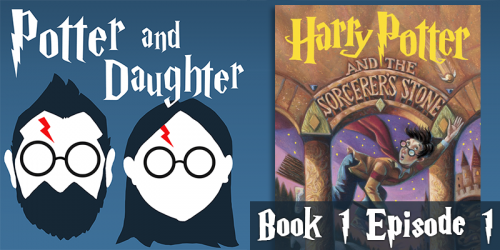 Potter And Daughter is a Harry Potter themed podcast where Joel Watson (cartoonist, geek dad and creator of the online comic HijiNKS ENSUE) talked to his seven year old daughter, Lily, as she reads through the Harry Potter book series. In each episode Joel and Lily cover about 1/4 to 1/3 of a book, discussing what happened, why it happened and what lessons Lily is learning from the books as she reads them. It’s part Cliff’s Notes and part cute and instrospective conversation between a father and daughter who love the same books for the same (and sometimes totally different) reasons. My daughter and I made it together, I’m really proud of it and I hope you enjoy it. I’m pretty sure that’s the end of the Girl Scout Cookies storyline. What if my daughter wants to some day join the Girl Scouts? My own child, slinging those delectable discs of deceit?! Or is that the perfect solution? I could get the cookies I NEED straight from the source, without fear of judgement or reprisal. It would be like my very own little coconut dusted, chocolate drenched methadone clinic. Is there an employee discount? Or would they just credit me for all the boxes I’ve already purchased and give me some sort of Ultimate Executive Black Level Multi-Platinum Cookie Commander Card that grants me free cookies for life? Any time I wandered up to a Girl Scout and said some code phrase like, “The VEGETABLE CART was OUT of ASPARAGUS,” they’d just slyly hand me 40 boxes in a brown paper bag. I know you get a card like that if you ever save the President’s life, but it’s only good at Subway and only after 5pm. Posted in Uncategorized and tagged cookies, food, girl scout cookies, girl scouts, self control. You're just swapping out cocaine for meth. "Would you like the Girl Scouts to know your location?" And then you go and tell him?! What's next? Letting him know Santa isn't rea… err.. on vacation? If you like Samoas, Keebler Coconut Dreams are almost a direct substitute. I like them anyway. Others, not so much. NOOOOOOOOOOOOOOOOOOOO!!!! I must not think about this. My deep love of lemon flavored desert items demands that I find a package of these things. I was half-tempted to grab a bag of the new red velvet ones. I really like the red velvet oreos. They taste like normal oreos but filled with cream cheese frosting. The grocery I work at always opens up the new kinds of oreos for us to try for some reason, not that I complain mind. I once found Birthday Cake flavor. Birthday Cake, I tell you! When I was a kid, my dad worked for one of the two companies that made the Thin Mints. Always a great icebreaker! I'm sure he smelled delightful after a hard day in the cookie mines. Well, then you won't get too far in the podcast, unfortunately, without spoilers. I love the art in this one, Joel. Thanks! I\’ve been testing out a new shading method for a couple of comics. I was a Brownie Scout for three years, and my mom bought the majority of my cookie sales…she'd buy enough Thin Mints to last the whole year and keep them in the freezer. It used to be, when you saved the President's life, the Presidential Wizard (yes, it's a thing) would grant you three wishes. I hear the Subway card is a recent thing. THANKS, OBAMA. Thanks. I find drawing kids to be incredibly difficult. Every line ages them. I think I'm getting better but every once in a while I feel like I forget everything I've learned and take 4 steps back. I do like how this comic turned out in that regard. That's a great artist tip right there!